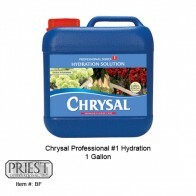 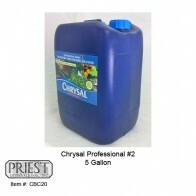 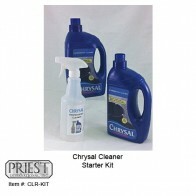 CHRYSAL CLEAR PROFESSIONAL #2 (1 GALLON) Reusable liquid will hydrate and provide the flowers..
CHRYSAL CLEANER STARTER KIT Ideal for all buckets, vases, containers, work tables, walls and ..
CHRYSAL #3 (5 GALLON) Contains food for the full development of flowers. 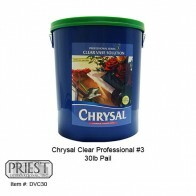 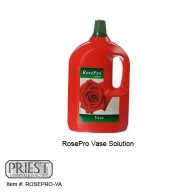 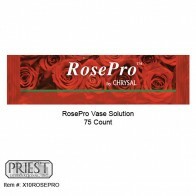 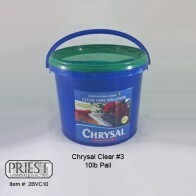 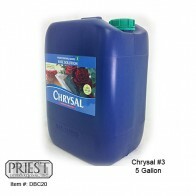 Used for vase arrang..
CHRYSAL CLEAR PROFESSIONAL #3 (1 GALLON) Contains food for the full development of flowers. 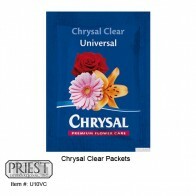 U..
CHRYSAL CLR. 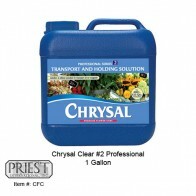 PROF. #3 (30 LB PAIL) Contains food for the full development of flowers. 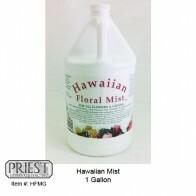 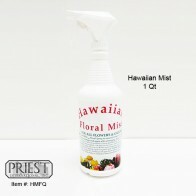 Used fo..
HAWAIIAN MIST (1 GALLON) Originally designed for tropicals, but works great on all flower typ..
HAWAIIAN MIST (1 QT) Originally designed for tropicals, but works great on all flower types. 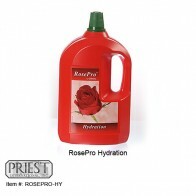 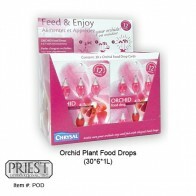 ..
PLANT FOOD DROPS (30*6*1L) / 30 Packs Per Box Chrysal Plant Food Drops provide essential mine..
ORCHID PLANT FOOD DROPS (30*6*1L) / 30 Packs Per Box For the complete development of roses in..
ROSEPRO HYDRATION Nothing can improve the quality and longevity of roses better than RosePro ..
ROSEPRO VASE SOLUTION Nothing can improve the quality and longevity of roses better than Rose..
Chrysal Clear Professional #2 T-Bag Gives the same excellent results as liquid formulation of..
CHRYSAL CLEAR #3 (10 LB PAIL) Contains food for the full development of flowers. 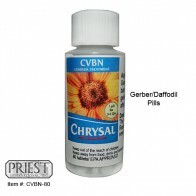 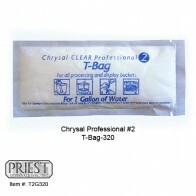 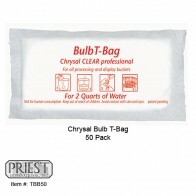 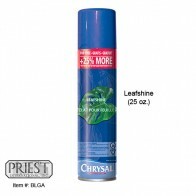 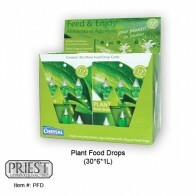 Used f..
Chrysal Clear Professional Bulb T-Bag Specially formulated for bulb flowers. 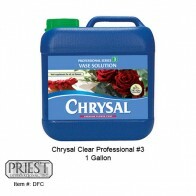 TBB50 50..
CHRYSAL PROFFESSIONAL #1 HYDRATION (1 GALLON) Stimulates water uptake, prevents bent ne..
CHRYSAL CLEAR PACKETS The traditional universal formula for bouquets with multiple flower typ..
LEAFSHINE (25 OZ) The ultimate beauty treatment for foliage plants, cut greens and fresh flow..
ROSEPRO VASE SOLUTION (75 CT.) Nothing can improve the quality and longevity of roses better ..
CHRYSAL PROFESSIONAL #2 (5 GALLON) Reusable liquid will hydrate and provide the flowers with ..
Gerber/Daffodil Pills / 10 Pack of 80 ..